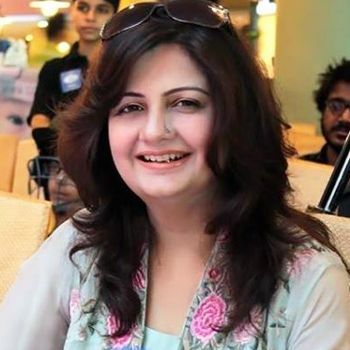 The celebrity chef Farah Jahanzeb died after losing her battle with breast cancer. The lady was 45 years by age and based in Karachi. Few months back, Farah moved to Lahore along with daughter to undergo cancer treatment. Farah Jehanzeb was a divorce, after her separation with husband she started her career as a chef in one of the program on Zaiqa TV and made her name in the culinary industry. Her way of talking, dressing sense and personality was very much popular among women. Infact she was very much likable among kids because of her welcoming personality. Jahanzeb was famous for her unique cooking shows on numerous channels. ‘Food Afternoon with Farah‘ was one of her well-liked shows on Geo TV. Her unexpected disappearance from channel has really disturbed her fans. Very few people knew that she was a cancer patient and was undergoing through treatment. A few months before, Jehanzeb posted a status on her Facebook page telling about her ailment. She thanked all her fans, doctors, paramedical staff, team members, family and especially her Teacher Dr. Mohammad Alam, who brings out the courage, faith, strength and my Emaan more on ALLAH (SWT). Is Charlize Theron A Second Generation Enabler?